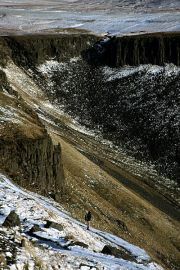 Snow on the colonnaded cliffs around High Cup, on the East Fellside flank of the North Pennines. Low Force is one of a series of splendid waterfalls that can be seen in Upper Teesdale. 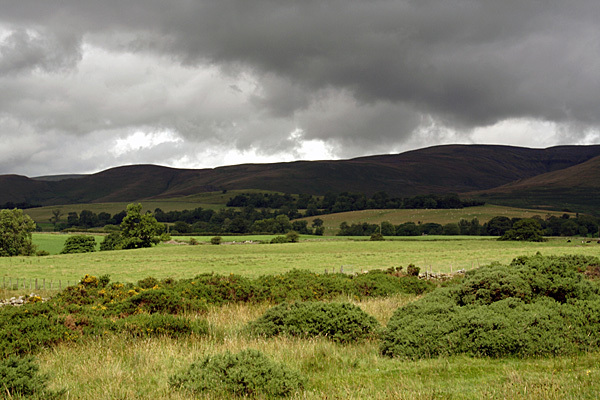 Dark clouds plunge Cross Fell into shadow in this view from the Vale of Eden. The first guidebook in a long association with Cicerone Press. 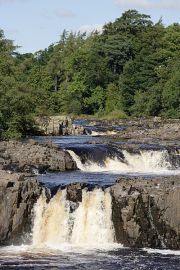 While writing a series of walking route descriptions for Country Walking magazine, it became apparent that there was no comprehensive walking guidebook covering the whole of the newly-established North Pennines AONB. 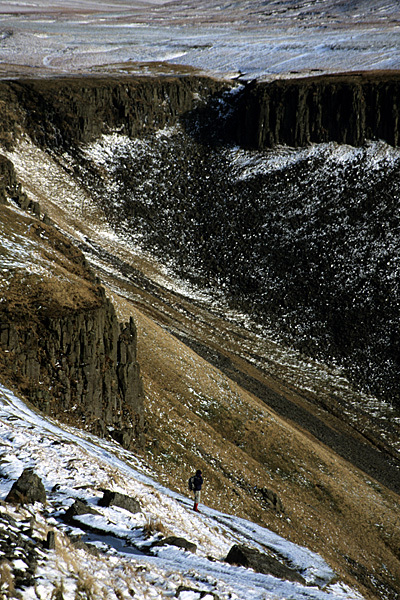 A selection of articles covering a variety of walking routes around the North Pennines were sent to Cicerone with a proposal for a guidebook. After a brief discussion a contract was issued and the research began in earnest. The North Pennines are wild and remote, more so than any other part of England, and the high moorlands are wide-open to whatever the weather hurls at them. The first edition of the guidebook was researched in a series of visits spanning all four seasons. For the second edition, the entire guidebook was completely overhauled. All the walking routes were checked again during a single long summertime trip, being completely re-written. New routes were added, bringing the total to 50. The new edition is in full colour, complete with all the routes highlighted on OS Landranger mapping.The book is now in its third edition. Walk 4 Croglin, Newbiggin and Croglin Fell. Walk 21 Cotherstone and Romaldkirk. Walk 24 Middleton and Grassholme. Walk 29 Cow Green and Herdship Fell. Walk 34 Rookhope to Stanhope. Walk 37 Blanchland and Blanchland Moor. Walk 39 Dipton Mill and Dipton Burn. Walk 43 Ninebanks, Hard Rigg and the Dodd. Walk 46 Slaggyford and Grey Nag.